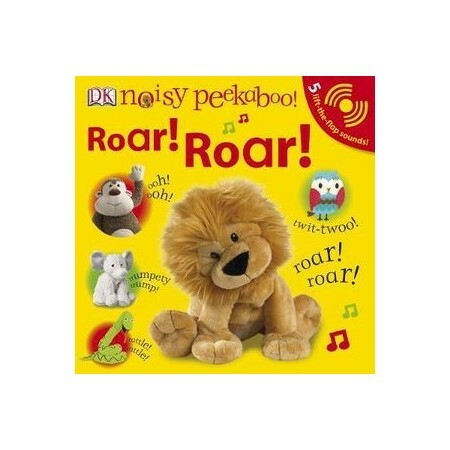 Play peekaboo with your baby and hear them giggle in delight as they discover wild animals under the flaps and hear five amazing sounds! Read together and lift the giant flaps to reveal noisy wild animals. Where's lion hiding? Lift the flap and he'll go roar. And where's owl? Lift the flap to hear a twit-twoo! Find all the wild animals as they wait to say peekaboo!